When a marriage is dissolved, there are many issues that must be addressed. One of the most often overlooked issues is the impact the divorce has on the taxes of each spouse. Some settlements appear to be okay until taxes are filed and they encounter some unpleasant surprises. If you are considering a divorce, it is important to work with a family law attorney that is experienced with tax consequences and divorce, so your financial interests are fully protected. At Mevorah Law Offices LLC, we have provided skilled representation for clients going through divorce in Chicagoland and throughout Illinois for over 35 years. Our award-winning lawyers have extensive experience with even the most complex divorces involving difficult issues such as divorce tax consequences, debt division, bankruptcy, retirement, 401k accounts and pensions and many others. We put this experience to work to provide clients a holistic solution that addresses all known issues and helps them come out of the divorce in the best financial position possible. Our attorneys are highly recognized not only for our experience and skill, but for our down to earth approach and unwavering commitment to serving the interests of our clients. We understand the emotional and financial strain a divorce can have, and we work hard to make the legal process as smooth and seamless as possible. We keep extended evening and weekend hours for your convenience and we also respond quickly to all client inquiries. Child Custody: Custody and visitation arrangements have become more complicated in recent years. Today, many divorcing spouses retain joint custody. Since the IRS only allows one party to claim a child as a dependent, it must be decided ahead of time how this will be handled. 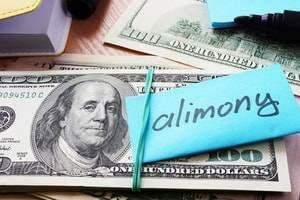 Alimony and Maintenance: Child support payments have no tax impact. Spousal support, on the other hand, is tax deductible for the payer and must be reported as income by the recipient in divorces finalized before December 31, 2018. For divorces completed after that date, spousal maintenance will be taxed the same as child support. If income taxes on maintenance received are not accounted for ahead of time, it can be very burdensome at tax time. For some couples who finalize their divorce before 2019, unallocated maintenance is a viable option to help reduce the tax burden for both the payer and recipient. Property and Asset Division: There are potential tax consequences when property is divided, such as capital gains taxes for the sale of a house, taxes on retirement account divisions, and which party is allowed to take itemized deductions such as mortgage interest, property taxes, etc. If these and other financial issues are addressed ahead of time, tax liability can be minimized for both spouses. Addressing tax consequences in a divorce is essential if you want to avoid financial setbacks after everything is finalized. 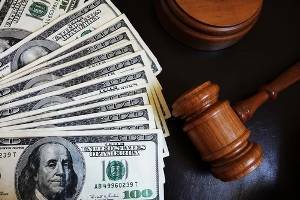 At Mevorah Law Offices LLC, we have in-depth knowledge of divorce tax consequences and how they will affect your post-divorce finances. We offer flexible appointments on nights and weekends for your convenience. For a free consultation with one of our skilled and compassionate Illinois divorce attorneys, contact our office today at 630-932-9100.